So, what’s my family been reading? Check it! 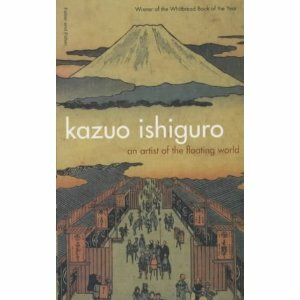 An Artist of the Floating World by Kazuo Ishiguro – my Pa likes to read about Japan. He was very impressed with this one. Pro Theory or プロ論。―情熱探訪編 by B.ing (eds) Tokuma (publ) – my Ma likes to improve her mind since she’s a creative type. This book is all about work and how successful people have made it. She likes her non-fiction. 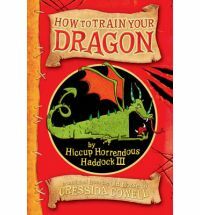 Hiccup: How to Train Your Dragon by Cressida Cowell – nephew no.1 loves to read and we all thought the film was magical. I even shed a tear. I’ve just finished reading Joe Dunthorne’s Submarine and have started re-reading Steven Erikson’s first Malazan book, Gardens of the Moon (because I must), Henrik Ibsen’s A Doll’s House for A Year of Feminist Classics and am slowly savouring Sandra Newman and Howard Mittelmark’s Read This Next (hilarious). So what are you and your family reading? 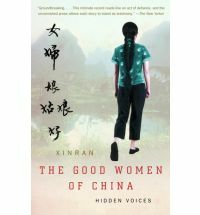 The Good Women of China is one of the most powerful and heartbreaking books I have ever read. I bawled my eyes out through most of it – heartbroken by their stories and in utter awe of their strength. I would recommend that everyone reads this book – it makes you incredibly grateful of your own life. It does look rather heart-wrenching, doesn’t it? I haven’t read much stories from China except for The Joy Luck Club which I loved. Thanks for the rec. The Ishiguro is the one I would love to read. Don’t come from a reading family! my eldest daughter has just begun – late start but better late than never – she likes the new American based Indian authors very much – and my son is into fantasy and paranormal! Second daughter is into chick lit if anything at all but not voracious readers any of them. Maybe it will develop a bit more as they get older! Looks like it is improving:) My sister reads much, much more now than when she was a kid. I read most of Xinran’s books (Message from an unknown mother, Sky burial and Miss Chopstick) beside this one you mentioned. I suppose I must get to it soon. Thanks for sharing what your family members are reading! It is wonderful to have family who reads together. What a lovely post, it’s so nice to hear what family members are reading. I’ve enjoyed several by Ishiguro but haven’t read An Artist of the Floating World yet. I love the cover that you show. Picking Bones from Ash sounds good, I read your review and am adding it to my tbr list. Have seen A Doll’s House performed twice and enjoyed it but am not fond of reading plays. My husband is currently reading Nomad by Ayaan Hirsi Ali(non fiction), and my son is starting Gideon’s Sword by Preston Douglas and Lee Child. I’m enjoying The Glass Room by Simon Mawer at the moment. Have a good week. I liked your sister’s choice! I read that book last year and really liked it, even though some of the stories Xinran tells are absolutely heartbreaking. I haven’t read anything by Xinran yet, so will be questioning my sis closely when she finishes. I really like this post – sharing what the families reading. I think my families reading is very diverse – but it would be an interesting exercise to ask them all about what their reading… might try that one day. I also like reading stuff about Japan, might look up the things you’r dad is reading. thanks. It’s an interesting exercise because you get to see what everyone’s interested in at the moment and also get an insight into their personality! I’m always surprised when I ask people what they read because it’s usually so different from my choices.